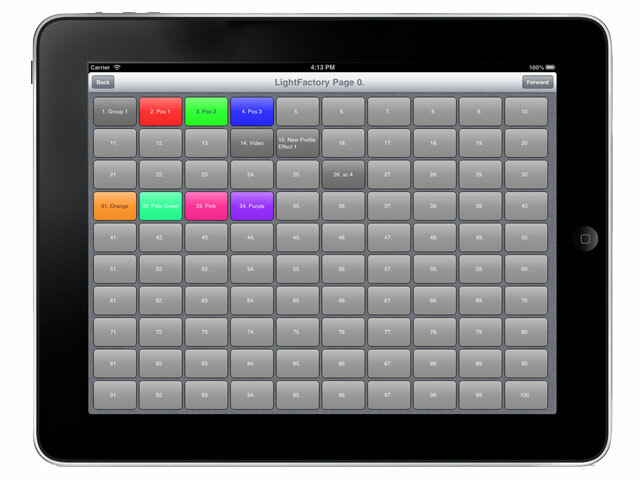 The LightFactory Shortcuts for iPad is a simple to use app that provides full access to all of the shortcuts you have setup in LightFactory. And because LightFactory shortcuts can do anything you want there is no part of the software out of reach from this app. With this powerful tool there is no need to do any button configuration as all of the colours and descriptions are automatically retrieved from your LightFactory system - just set them up in LightFactory and then start the app.